Millennials who haven't blown all their money on avocado toast can spend it on this new pair of sneakers inspired by the trendy snack. 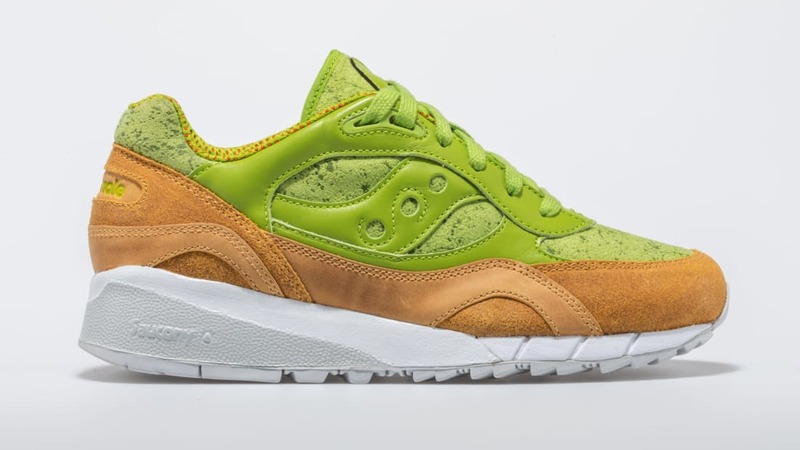 As Independent reports, these Shadow 6000 avocado toast trainers from Saucony let you wear the food's color palette on your feet. Saucony describes the brunch-themed kicks on its website: "Holy Saucamole! Celebrate your health kick with the delicacy of the exclusive 'Avocado Toast' Shadow 6000 […] It’s everything you avo-wanted, even if the guac is extra." The shoe's light-brown leather is reminiscent of crispy toast, and the green textured suede is meant to evoke a smashed avocado. The sneaker also features a "red pepper flake" collar lining and halved avocados on the tongue and sole. The shoe, listed for $130 on Saucony's website, is currently sold out, with an option for the retailer to notify you when it's back in stock. While it's listed as a men's sneaker, Saucony also includes a conversion chart for calculating women's sizes. Avocado toast is just the latest beloved dish to inspire a piece of footwear. In 2017, Adidas collaborated with artists to create state-themed sneakers featuring foods like Georgia peaches and Wisconsin cheese.